The Canadian Southern Railway Station (CASO) built from 1871-1873, was once near ruin, but is now almost completely restored. Visitors explore the history and unique design of the CASO Station as well as an array of station related period objects on display. The second floor houses the displays and exhibits for the North America Railway Hall of Fame. St. Thomas & District is part of the Great Lakes region, in the centre of Southwestern Ontario. The City of St. Thomas, the Municipality of Central Elgin and the Township of Southwold are home to more than 60,000 people and 1,200 businesses. Our area forms the core of Elgin County (www.elgin-county.ca). Elgin’s total population is over 89,000 people, occupying 35,340 households. Median household income (2016) is $71,356.75 and average household discretionary income is $36,446. The county covers 1,880 square kilometers with the shore of Lake Erie as its southern boundary. Over 10 million people reside within 2.5 hours’ driving time in the adjacent communities of southern Ontario and in the neighbouring states of Michigan, Ohio, New York and Pennsylvania. Our location offers unique advantages to businesses, manufacturers and agriculture with convenient access to Highways 401, 402 and 403 plus all types of transportation services. In July 2018, the City of St. Thomas was named by MoneySense magazine to a list of 415 communities in Canada meeting qualifications to be named as "Best Places To Live In Canada". On the list of 417 nationally, St. Thomas ranked 297th. Looking only at Ontario municipalities, St. Thomas ranks 127th of 150 that qualified to make the list. For perspective, consider that there are approximately 3,700 municipalities in Canada and 454 in Ontario. For the full report from the magazine click here. The rankings provided above are based on all measured influences being equal. The full report provided by MoneySense alllows readers to adjust the value of each ranked item according to personal preference. The urban centre of our area is St. Thomas (www.stthomas.ca). St. Thomas is well-connected. The city is just south of London and Highway 401. Driving time between the London/St. Thomas city limits is only seven minutes or approximately 25 minutes between the centers of both cities. Five major Canada – U.S. border crossings are within easy reach. The Sarnia, ON / Port Huron, MI border gateway is only 110 km. (68 miles) away to the west. The Detroit/Windsor border point is southwest of our location,185 km. (114 miles) from us, and the Buffalo/Fort Erie border is 215 km. (133 miles) to our east. In the last national census (2016), population within the city limits was 38,909. 2019 population is estimated at 43,276 and growing at an annual rate of 0.52%. The 5-year growth rate between the 20011 - 2016 national census was 2.6% Including the immediately adjacent suburban areas, the local population is approximately 56,000. The average age of persons living here is 40.7 years, nearly identical to the national average of 40.6 years. St. Thomas is part of the London Census Metropolitan Area (CMA), the 11th largest market in Canada. Total population in the CMA in the 2016 census was 494,069. St. Thomas ranks 48th in size among over 440 municipalities in Ontario. St. Thomas was exclusively an agricultural centre before the arrival of railroads and, later, manufacturing industries. Being close to the north shore of Lake Erie and midway between Detroit and Buffalo, St. Thomas became a transportation hub connecting the Windsor – Niagara region of Canada via rail links to the northeastern United States. In the one hundred years between 1856 and 1957, St. Thomas saw over 25 million railway passengers come to, from and through the community, plus an equally huge quantity of freight. In 1914, eight railways were here and more than 100 trains per day brought jobs and economic prosperity. Today, our railway history is the focus of tourism in addition to service provided to local manufacturers. Dieselization of the railways brought a decline in employment and activity that coincided with work to see the community become a centre for manufacturing. St. Thomas remains focused on being a manufacturing leader. Marketing and promotion efforts by the municipal government, St. Thomas Economic Development Corporation, Elgin County Economic Development & Tourism, and numerous community partners including the Chamber of Commerce showcase the quality and skills of the local workforce and the geographic advantages of St. Thomas’ location for both access to materials and distribution of finished products. Many of our major employers are well-known world leaders. Our community is enthusiastic, able, skilled and caring – and extremely talented when it comes to making anything a little bit better, faster and stronger. AREA: St. Thomas City – 8,834 acres (35.75 sq. km.) Approximately 1,600 acres in the northeast section of the City is zoned and serviced to accommodate existing and future industries. Elgin County covers 725 square miles (1,160 square kilometres). WEATHER: Average daily summer temperature 25.3 degrees C (77.5 degrees F). Average daily high temperature in winter is 2.0 degrees C (35.6 degrees F). The annual volume of precipitation in our area is considered moderate. Average annual rainfall amounts to 939 mm (36.9”). Average annual snowfall is minimal at 108 cm (42”). Our region enjoys one of Canada’s longest growing seasons. We are within the unique 1% of Canada’s geography known as the Carolinian Zone which is home to more species of flora and fauna than anywhere else in the country. Municipality of Central Elgin (www.centralelgin.org) (2016 census population – 12,607) Central Elgin is most of the area south and east of St. Thomas and incorporates the villages of Belmont and Port Stanley plus and area that was known, until 1998, as the Township of Yarmouth. Central Elgin includes a concentrated suburban population adjacent to St. Thomas’ city limits. A strong agricultural industry is present and includes a mix of livestock producers along with growers of beans, corn, wheat, orchard fruits, cash crops, other staples and specialty items. Water sports, commercial and recreational fishing, and tourism are an expanding part of the economic base, especially at Port Stanley, along the Lake Erie shoreline that is the municipality’s southern edge. Township of Southwold (www.southwold.ca) (2016 census population – 4,421) Southwold is home to the communities of Shedden and Fingal, as well as a significant population of agricultural and related enterprises. Shedden is a quiet country town with many interesting shops and boutiques. Fingal is home to municipal offices and services. Nearby, for the historically inclined explorer, Southwold ‘earthworks’ is an ancient settlement where stone axes and other remnants of the stone age have been discovered. Similarly, the ‘War to Roses’ Walking trail, a former World War II training facility (now the Fingal Wildlife Management area) create unique combinations of history and natural beauty. Most primary and secondary schools in our area are operated by the Thames Valley District School Board (call 519-452-2000) and the London District Catholic School Board (call 519-663-2088). In and around St. Thomas there are 18 Elementary schools and 6 Secondary Schools. There are a small number of private schools that operate independently from the public and Catholic school system. Fanshawe College (St. Thomas/Elgin Regional Campus) – This state-of-the-art facility provides a wide range of services including post secondary and apprenticeship education, continuing education, customized training services, counselling, & upgrading programs. Opened in January 1997, popularity and market demand for Fanshawe’s local campus continues to grow with campus space now over 45,000 square feet. Fanshawe serves a population of approximately 600 full-time and 3,200 part-time students this year. For details on Fanshawe’s programs and services call 519-633-2030. • 3 Private Alternative Elementary Schools. • Numerous private & public Nursery Schools/Child Care Centres & Early Learning Centres. • The University of Western Ontario and Fanshawe College’s Main Campus are both within easy commuting distance in London. The school term for all primary and secondary students begins in September and ends in June. Under Ontario law, innoculations are required for students for diphtheria, polio, tetanus, measles, mumps and rubella. School textbooks are supplied free of charge to all primary and secondary students, except in a limited number of special or advanced courses. Bus transportation is provided for all students living outside of walking distance as well as for all developmentally disabled students. Maximum walking distance is 1.6 km. for elementary students, 3.2 km. for secondary schools. • Joe Thornton Community Centre – St. Thomas’ largest facility offers twin professional-sized ice rinks. The main ice surface incorporates stadium and floor level seating for up to 3,500 people. Other features include a combined multi-purpose auditorium/gymnasium with bleacher style seating, event rooms with licensed capacity of 150 to 400 people, and an indoor walking/running track. • Douglas J. Tarry Sports Complex – This site includes one of southern Ontario’s best baseball tournament complexes with 5 fully illuminated ball diamonds, a parking area, playground, field house, food services and a park/picnic area. • St. Thomas – Elgin Memorial Arena – multi-purpose, 2,600 seats, ice surface (hockey, skating, etc.) separate auditorium and meeting room(s). Auditorium capacity of 275 persons. • Northside Swimming Pool – offers community outdoor recreational swimming and instruction for children from the end of June to the first weekend of September. Site incorporates a 25m. pool and separate diving well. • Pinafore Park – 90 acres, featuring bird aviary, wildlife sanctuary, children’s play area and splash pad, food concessions, a bandshell, covered pavilions for picnics, memory garden etc., lighted ball park with grandstand, washrooms, dressing rooms, etc. ; 20 acres of formal gardens. • Waterworks Park (W.A. Allan Waterworks Park) – 100 acres, rustic bridges joining flower-lined bridle paths through a network of lily ponds, ornamental gardens, and a unity peace labyrinth. A variety of playground equipment and picnic shelter space is available. 2011 brings the opening of a new water recreation feature – a splash pad for children of all ages. • TransCanada Hiking Trail – The world’s longest recreational trail winds through Elgin County and St. Thomas. A comprehensive guide to the local route and trail features is available at various community locations. • Family YMCA Recreation Complex – Full-service community fitness & recreation facility, including a junior Olympic indoor pool. The YMCA completed a $2 million renovation in late 2010 adding a therapy pool, a new fitness area and a child-minding centre. • Private Clubs – St. Thomas has several private clubs and facilities for fitness, exercise and leisure activities. Consult the Chamber of Commerce for referrals. • St. Thomas Curling Club – a Members’ club with facilities that may be available for private functions at limited times through the year. • Baseball, Soccer & Tennis – variety of sites throughout the community. • Dalewood Conservation Area – 700 acres with camping, hiking/nature trails, canoeing & swimming pool. • 32 Neighbourhood playgrounds – St. Thomas residents enjoy access to more than 300 acres of parklands & playgrounds; an impressive ratio better than 9.6 acres per 1,000 population. Over 530 not-for-profit, sports, recreation and community service agencies and organizations serve St. Thomas & the surrounding district. On-line, check the Business Directory pages of the Chamber’s website at www.stthomaschamber.on.ca. • CASO (Canada Southern) Railway Station – one of the most historic structures in our region is now a multi-use commercial and special events facility with meeting rooms, kitchen facilities, etc. • Columbus Club of St. Thomas- multi-purpose, meeting rooms, banquets, etc. Churches – There are over 50 denominational and community churches within the immediate St. Thomas area. Faith groups represented include Roman Catholic, Anglican, Presbyterian, United, Baptist, Lutheran, Reformed, Salvation Army, Latter Day Saints, Pentecostal, Mennonite, 7th Day Adventist, Jehovah’s Witness, Missionary, Evangelical, Ba’hai and others. Elgin Association For Community Living – A social service agency providing support and services to people who have a developmental disability. Their administration office is located at 400 Talbot Street. Hours: Monday – Friday 8:30 a.m. to 5:00 p.m. Call 519-631-9222. For referral to physicians, surgeons, dentists, etc., contact the St. Thomas – Elgin Medical Association, 189 Elm Street, St. Thomas ON N5R 5C4 or telephone 519-631-1450. • Southwestern Public Health – provides numerous Public Health programs and services across Elgin to support, promote and protect the health of area residents; 24-hour response. Local office location in St. Thomas at 1230 Talbot Street, call 519-631-9900. • St. Thomas Elgin General Hospital – 166 acute and chronic care beds, full-service; 24-hour emergency unit; staff of over 850 persons. 189 Elm Street. Call 519-631-2020. The hospital has recently undertaken a major, multi-million dollar expansion and renewal project that includes new emergency care facilities, a new suite of surgical and operating room facilities, and urgent-care psychiatric/mental health facilities. • Southwest Centre for Forensic Mental Health Care – A branch of St. Joseph’s Health Care, this new forensic care facility opened in 2013, Located on Sunset Drive, south of the city limits. Call 519-646-6100. • Medical Clinics & Support Services – privately-owned walk-in medical clinics provide physicians’ services during non-traditional hours, including weekends and evenings. A number of rehabilitation, therapy and counselling facilities provide extensive services. Call the Chamber of Commerce office for referrals or see the Chamber’s on-line Business Directory. Municipal buses serve all areas of the City, Monday through Saturday. All in-city routes converge through a hub at the front of the Walmart parking lot. Route and schedule details are available at City Hall or from the downtown St. Thomas Bus Depot, 614 Talbot Street. St. Thomas Para-Transit operates on a six-day schedule. Para-Transit riders must be registered users. Applications are available at the Environmental Services Department, St. Thomas City Hall, 545 Talbot Street. City Hall hours are Monday – Friday, 8:30 a.m. to 4:30 p.m. Taxi, Patient Transfers, Limousine & Delivery/Courier Services Two taxi operators and 3 limousine/charter services provide ground transportation in the St. Thomas area and there are a number of local courier & delivery services offering specialty services for individuals, businesses and industries. All major national and international courier companies including UPS, Purolator, CanPar, FedEx, DHL, etc. serve the St. Thomas region daily. London International Airport, which is approximately 35 minutes’ drive from St. Thomas, is served by a variety of connector services to Toronto & Detroit airports plus a growing number of direct flights to major centres in eastern and western Canada and vacation destinations. Air Canada, WestJet, United Airlines, Sunwing, Sunquest and Transat Holidays provide regular service. See www.londonairport.on.ca Frequent ground transportation to Toronto and Detroit airports is also available. VIA Rail passenger service is accessible from the downtown London train station on York Street. St. Thomas Municipal Airport serves industry and the public and has the capacity to handle most corporate jets as well as the largest aircraft used by the Canadian Armed Forces. St. Thomas Airport is the home of a major aviation show and exposition – The Great Lakes International Airshow. • St. Thomas Police Services – the municipal police service provides for all the community’s law enforcement and emergency needs and is responsible for the operation and administration of a broad range of services including the St. Thomas CrimeStoppers program, Crime Prevention & Community Service programs. Telephone 519-631-1224 for administration, 911 for Emergency or 519-631-8477 to reach CrimeStoppers. • Ontario Provincial Police (Elgin Headquarters/St. Thomas Detachment) – this detachment serves an area of 525 square km. adjacent to St. Thomas including Central Elgin, Southwold, South Dorchester and Malahide Townships. This office co-ordinates all OPP administrative work for Elgin County including Dutton detachment. For administration information call 519-631-2920. Emergency call 911. • St. Thomas Fire Department – the City of St. Thomas provides full-time, professional firefighting and emergency paramedical/rescue services from two stations. The department administrates a variety of safety, education and community service programs. Business office telephone 519-631-0210, Fire Emergency calls – 911. • Composite (full-time/part-time) Fire Services provide service to all areas of our region beyond St. Thomas’ city limits. Emergency call 911. • Elgin-St. Thomas EMS serves St. Thomas and neighbouring municipalities throughout all of Elgin County, using 10 ambulances and 2 emergency response vehicles, working from 5 bases located in St. Thomas (2), Aylmer, Dutton and Rodney. The team includes 44 full-time and 30 part-time primary care paramedics, 5 management/support staff and provides 24 hour, 7 days a week service. This area is recognized for many outstanding examples of Victorian architecture. Maps and brochures suggesting walking tours and points of interest are distributed at various locations. St. Thomas & District offers a broad choice in residential housing at all levels. The St. Thomas & District Chamber of Commerce will provide referrals to builders, licensed real estate professionals and property managers with listings our Buyer’s Guide directory which can be accessed and searched from the main page of the Chamber’s website. City of St. Thomas – The program for individual residences includes weekly garbage removal plus bi-weekly curbside removal of “Blue Box” and “Grey Box” recyclables and compostable materials on alternating weeks. The City also operates the Community Recycling Centre (CRC) on Edward Street for disposal of recyclables, construction waste, furniture, electronics and hazardous waste materials that are not eligible for curbside pick-up. The Community Recycling Centre is open 5 days per week, Tuesday to Saturday. See the CRC webpage - click here. District Municipalities – Waste collection & recycling services differ in each municipality outside St. Thomas. For specific information contact the administrative staff of the municipality in which you reside. The St. Thomas region has a number of not-for-profit and government-sponsored agencies and services that work to better the economic health by providing assistance to individuals in the workforce and/or investors wishing to establish or expand here. 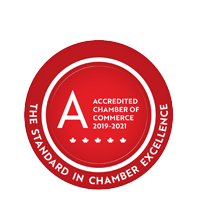 St. Thomas & District Chamber of Commerce – Part of the largest business network in the world, the local Chamber is a specialist in business and community information.